Sheer talent -- William Fox-Pitt and PARKLANE HAWK -- what else is there to say but WOW! 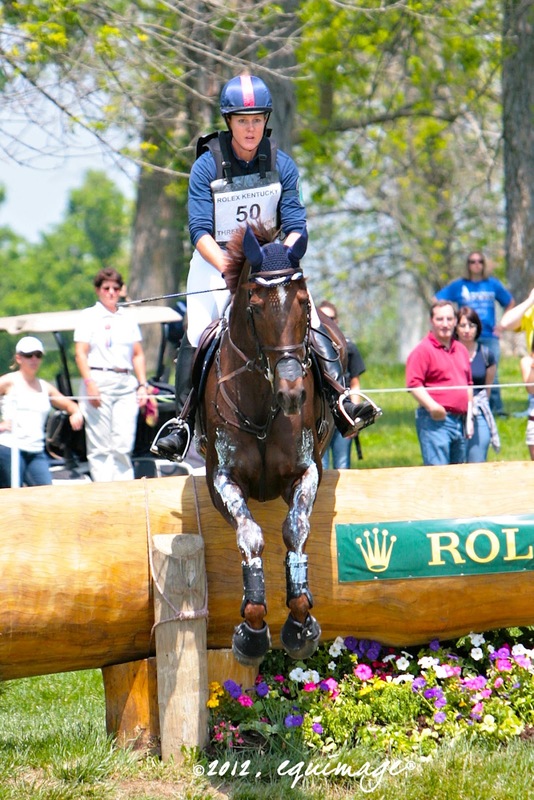 A second Rolex Kentucky win in three years for William! $80K and new Rolex Watch to serve as twin to the one he took home two years ago! 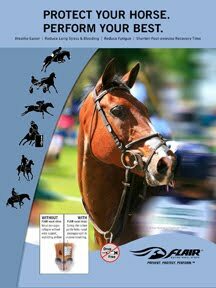 A second leg of the Rolex Grand Slam! 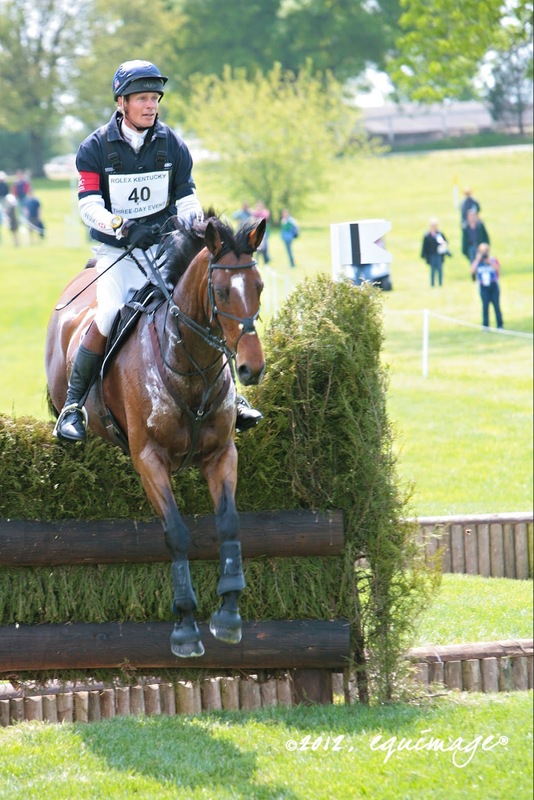 And, another very good week for British Eventing -- currently the true force in the sport. There was definitely drama -- and a few close calls -- during XC. Derek DiGrazia's course proved challenging for most -- with quite a few slow walks back to the vet box from out on the course -- especially before the break. 19 out of 54 horses retired on course or were eliminated, three others were withdrawn. When the likes of New Zealand's Andrew Nicholson, Karen O'Connor, Becky Holder, Laine Ashker, and Jolie Wentworth are eliminated it's a tough course. Said Jock Padget (NZL) of his fellow teammate and the course, " You know you're in for a bad day when Andrew walks home." Clark Montgomery and LOUGHAN GLEN, were eliminated by a mistake at the third-to-last jump that left Clark's horse hung up in the jump. 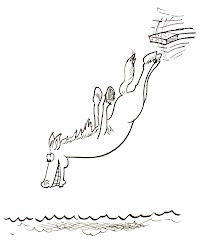 The horse could not extract himself from the brush arch. It took Clark literally diving under the jump and working at it to finally free LOUGHAN GLEN, who appeared to be unhurt. 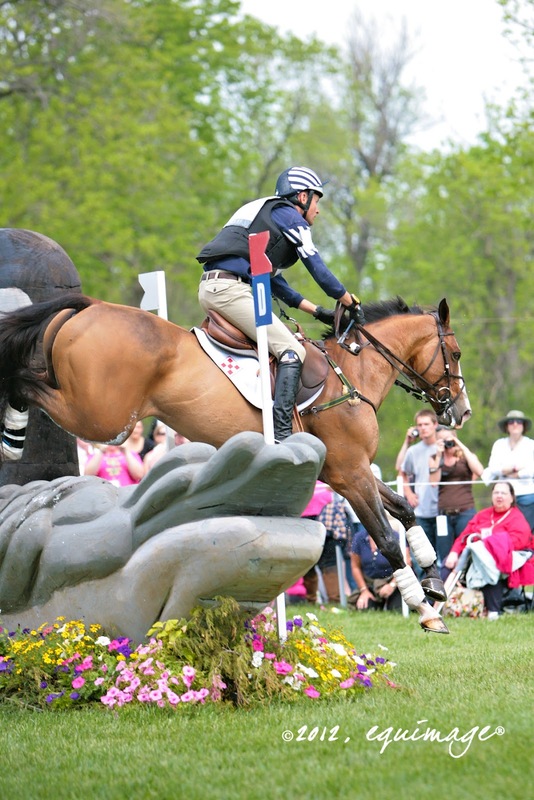 Of the 32 horses that finished XC, 22 horses had clear rounds but only seven were within the time allowed. Allison Springer and ARTHUR (owned by Allison and her delightful her parents William & Caroline Springer) took the slow option on fence 27, putting her 8 seconds over the optimum -- adding 3.2 time faults to her first-placed Dressage score, moving her into second place. Besides the runner up's share of the purse ($37K), as the highest placed American, Allison goes home with a 15 month lease on a new Range Rover. "It’s a good thing they kept someone in the car with me, or I’d have been out there doing donuts!”, said Allison of her first experience in her new ride. Boyd Martin took third with OTIS BARBOTIERE -- a syndicate-owned import from France -- moving up to third place on 51.0 to earn $30,000. Of his relatively new ride, Boyd said, "It was a huge gamble, and I’m happy this horse has confirmed what I thought of him. It’s a fantastic result for his first four-star." 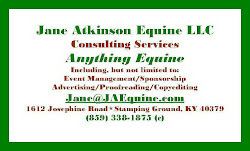 He also finished 8th on REMINGTON XXV. With such strong performances by two more horses, Boyd has a quiver full of four potential London Olympic talent just waiting to be drawn. Speaking of horse owners, on Friday, I had the opportunity to meet and spend a bit of time with Parklane Hawk's British owner, Catherine Witt, in the Sponsor's tent. What an extremely nice -- and fun -- gal! I'm so happy for her. At that point, she was very excited and a bit nervous. Looks like keeping all her fingers crossed paid off! Rolex was busy, cold, hot, wet, dry -- you name it. Plenty of shopping with many new vendors in the trade fair. Lots of course walks, two of which were sponsored by our (and Rolex Kentucky's) sponsor, FLAIR Equine Nasal Strips. Phillip Dutton led 50 lucky folks on a somewhat intimate, four-element walk, on Thursday afternoon. At the conclusion of his walk, Phillip handed out swag -- a autographed photograph and a FLAIR Nasal Strip -- to each walker. 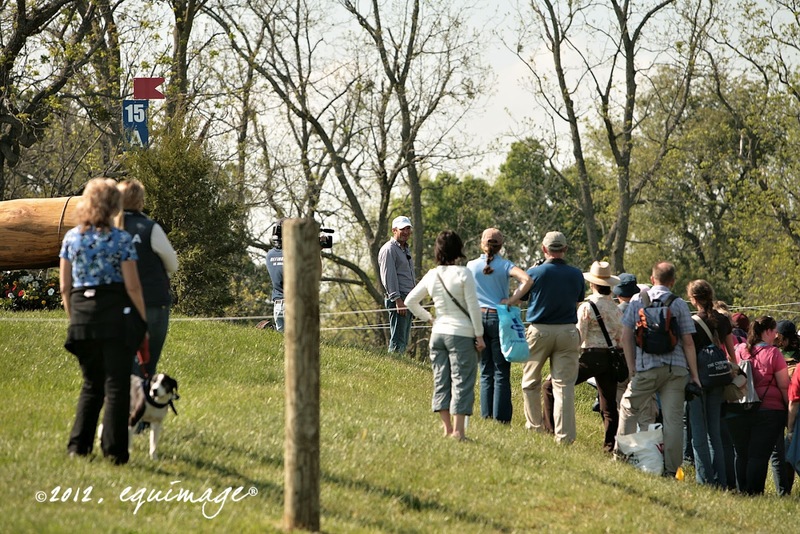 Phillip Dutton enjoys stepping out of the limelight to spend time with his fans, and you could really see that on this course walk. 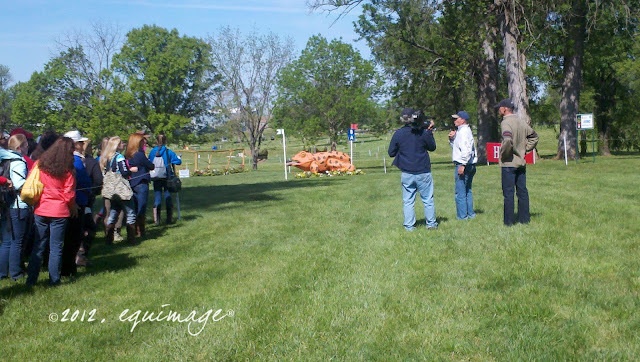 And, I have to say the dynamic duo of Eric Dierks and Ralph Hill leading a course walk on Friday morning was a sheer gold delight! Those two buddies really play off each other -- delivering to the rather large group of walkers the perfect balance of knowledge and anecdote. They could do their own radio show! The Eric and Ralph in the Morning Eventing Show... Now there's a thought.